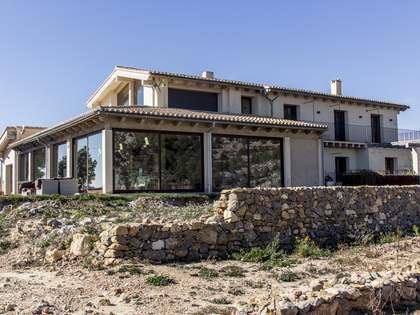 At the Lucas Fox Monasterios office we offer an attractive selection of Valencia real estate for sale and rent in the residential areas of Los Monasterios, Alfinach, Monte Picayo as well as some properties in the idyllic virgin beach areas of Almardá, Corinto and Malvarrosa. Our property catalogue includes building plots, free-standing villas and designer penthouses, always seeking only the finest homes for our discerning clients. 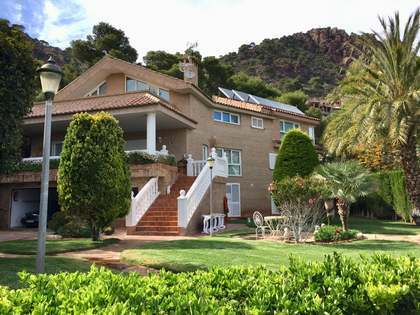 Typically, clients seeking a temporary or permanent home in the Monasterios area are families with children that are drawn to the area due to the number of attractive detached homes on offer here and the reputable international schools such as Caxton College and the American School. 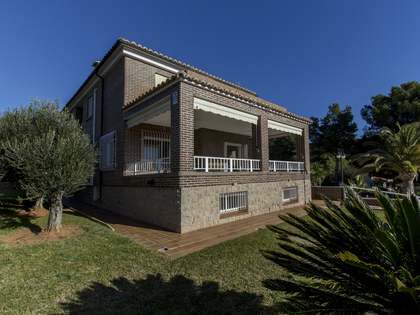 Many relocate to a rental property for work reasons and opt to buy a home and settle here permanently after experiencing the excellent quality of life enjoyed in this part of Valencia. With the international airport a mere 20 minutes away, this is an excellent area for international clients to acquire a home for relocation or a holiday property. Furthermore, there is a bus service that connects with the Renfe train and metro service to the city. Our highly professional multilingual team includes 2 technical architects and several estate agents with an in-depth knowledge of the local property market and over 20 years of experience in the real estate sector. Accompanying clients through the purchase or rental process from beginning to end, we always strive for complete client satisfaction. The vast majority of our properties are located in the upmarket residential neighbourhoods of Los Monasterios and Alfinach and enjoy all of the facilities and amenities on offer to residents in these gated communities. The Monasterios neighbourhood has a private club that covers 70,000 m² and offers an impressive range of amenities including restaurants, 5 swimming pools with bar service, 5 tennis courts, 7 padel courts, 1 football field and 6 with artificial turf, 1 basketball court and a children's play area. The popular international school, Caxton College is just a few minutes away by car. While the affluent Alfinach community has a club that boasts restaurants, 2 swimming pools, a football field and 4 padel courts. The American School is situated within this community, making it ideal for families with school age children. 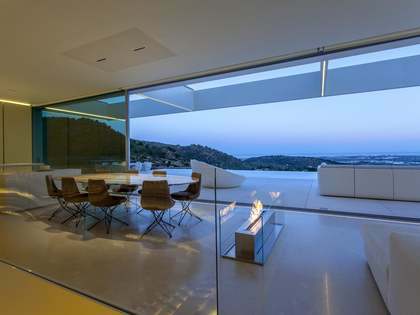 These exclusive communities are nestled at the foot of the natural landscape of the Sierra Calderona, at an altitude of 100 metres above sea level, always enjoying a breeze and offering many areas overlooking the sea. 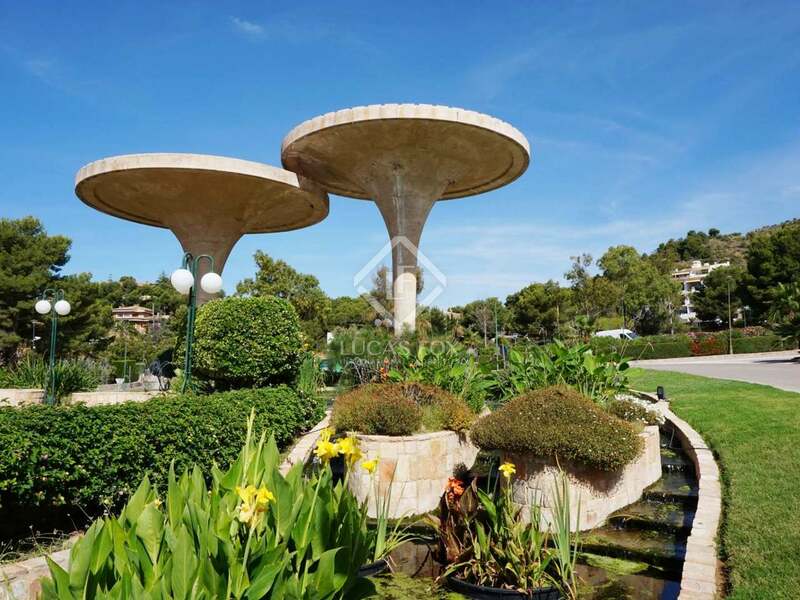 With private social clubs, exceptional natural surroundings, extensive sports amenities, 24-hour security 365 days a year, high quality education centres and an excellent road network with direct access to Valencia, Barcelona and Alicante, it is easy to see why so many families are attracted to this area. Explore our catalogue of penthouses, building plots and stunning free-standing villas with gardens and private pools in Monasterios and Alfinach and contact us at the Lucas Fox Monasterios office to begin your exciting property search in this beautiful location in Valencia.